After gaining a lot of fans with Copacetic, Knuckle Puck is back with a new single that was released yesterday and publicized through social media. “Gone” is the first single that is released off of Knuckle Puck’s sophomore album Shapeshifter which is set to release on Oct. 13 via. Rise Records. You can pre-order their upcoming album and receive “Gone” instantly on their website. “Gone” is what I expected Knuckle Puck to release. Instrumentally, Knuckle Puck has a distinct sound that has drums, guitars, and bass full of angst with a high speed sound. Lyrically, this song is fantastic. Knuckle Puck is great at telling stories through their lyrics, and this song does a great job with it. The lyrics are somber and pull at your heart strings in the right way. The hook of “There’s no way back, there’s no way back” sounds similar to the line “You tore me down, you tore me down” in Knuckle Puck’s song “Untitled” (off of Copacetic.) This single sure does not disappoint. If you have yet to hear their music, I highly recommend hearing their first full length album Copacetic, 2015. My favorite songs off of the album are: “Evergreen,” “In Your Crosshairs,” and “Untitled.” Knuckle Puck does a great job with creating high intensity songs and power ballads. I’m excited to see what Knuckle Puck has in store for their upcoming album. In other news, The Killers teased a new song “Run For Cover,” Turnover released their new single “Sunshine Type,” August Burns Red released “Invisible Enemy,” Brendon Urie, Oli Sykes, and more are shown in the new music video, “Boys“, by Charlie XCX. and happy 15 year anniversary to My Chemical Romance’s I Brought You My Bullets, You Brought Me Your Love, and happy 12th anniversary to Paramore’s first album All We Know is Falling. *Follow me on Twitter and Instagram @ovictoriamedia and find out what’s new in the alternative music scene. This entry was posted in Music Updates, Review, Updates and tagged Alternative Music, Alternative Music Blog, Copacetic, Gone, Knuckle Puck, New song, Shapeshifter, Song Review. Bookmark the permalink. 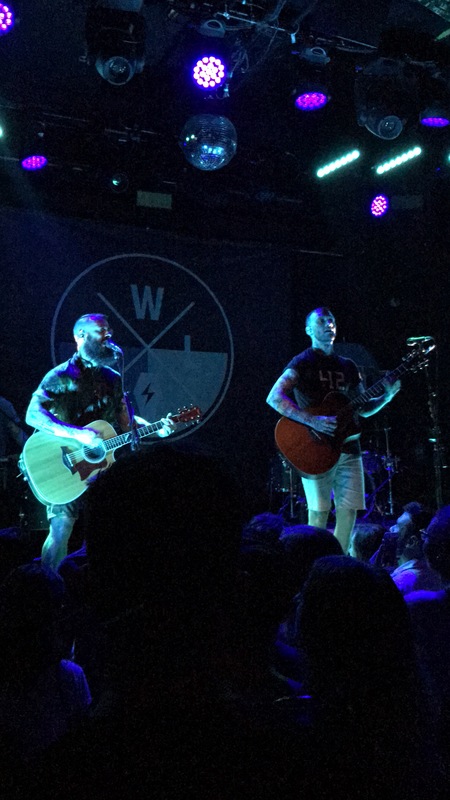 On Wednesday July 19, 2017, I attended the show for This Wild Life in New York City. This was my sixth time seeing them. The venue the concert was at was Bowery Ballroom, and I’ve seen The Maine and mewithoutYou perform at that venue. I knew the layout of the venue which made the night enjoyable. The venue holds 575 people which makes any show at Bowery intimate. Prior to the show, I met with Kevin Jordan and Anthony Del Grosso, the two members in This Wild Life. 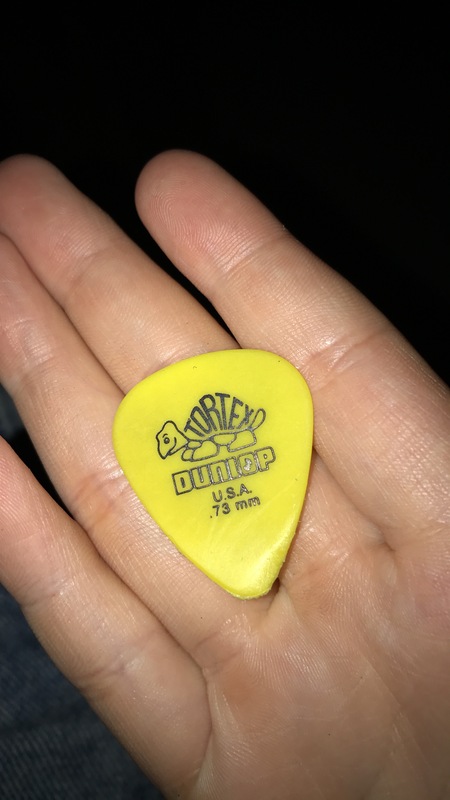 The meet and greet was similar to the one I had with Dustin Lynch; both meet and greets consisted of a small acoustic performance prior to the show and a photo with the band/artist. This Wild Life had 25 people allowed for a meet and greet each show. This was the first meet and greet option This Wild Life had on tour. 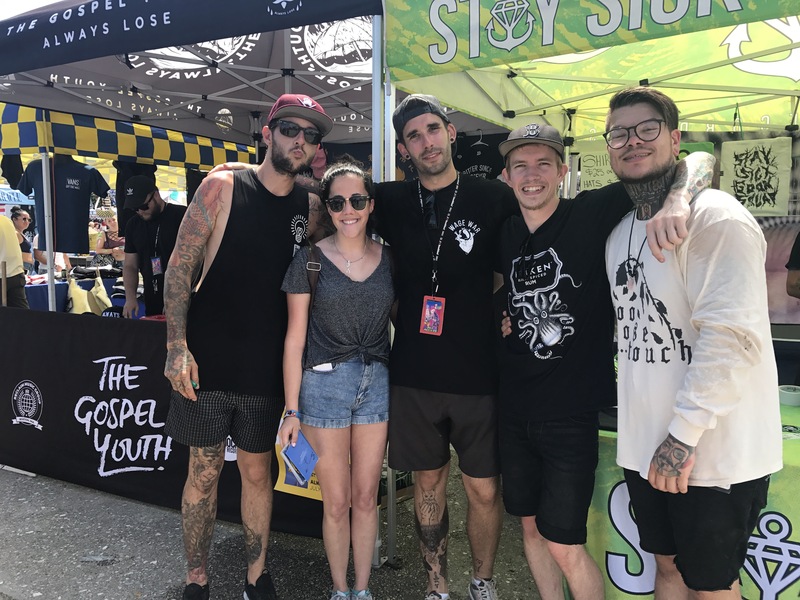 It was so refreshing to hang out with This Wild Life and discuss who they are, their music, and their future during their Q&A session of the meet and greet. Anthony and I were talking about how great Grayscale is as a band. Kevin and I talked about how awesome Copeland is as a band and how This Wild Life would love to tour with Paramore. The meet and greet portion with the 25 people, Kevin, and Anthony was an hour long. Interesting fact about This Wild Life, Anthony and Kevin met at a Guitar Center. After the meet and greet, I exited the venue and re-entered ready for the show. I got a seat and saw the two opening bands, A Will Away and Dry Jacket. I didn’t hear any of their music prior to their set, but I really enjoyed the overall composition of A Will Away. At the end of their set, I visited their merchandise table and purchased their album Here Again. I got the chance to talk with Matt from A Will Away and talked about how I really enjoyed the band’s set. He signed my CD at the end of our conversation. Dry Jacket had really good instrumentals which makes me eager to listen to their music outside of the show. Their set was small but had a variety of songs from their album Clouded, Low Tides, and prior works. Fun fact, Kevin wrote “Ripped Away” on a lunch break at Guitar Center. It’s fantastic that This Wild Life had a social media contest with listeners, and the winner of each show was able to sing the bridge of “Let Go” with This Wild Life.” This Wild Life sounds equally fantastic live as they do on an album. This Wild Life is gaining a bigger following, and I’m so proud to have been a fan since 2014 and see the band grow. Kevin and Anthony are two humble guys who are working hard to create such emotional content that connects with listeners. 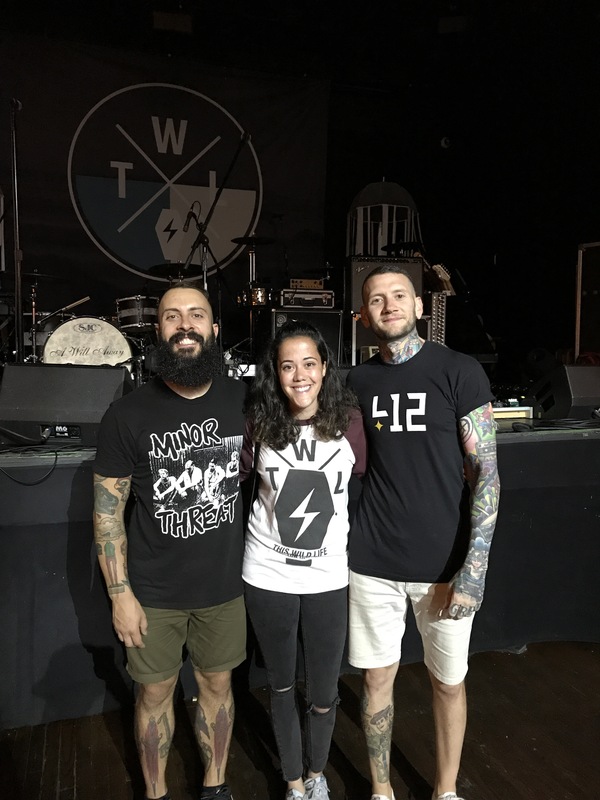 If you’re interested in reading more about my experience with This Wild Life, check out my review on their album Low Tides here and a previous concert review here. You should check out their music if you have not already, hear their song “No More Bad Days” performed live on a boat. *Follow my concert experiences, blog post updates, and more on my social media @ovictoriamedia on Twitter and Instagram. 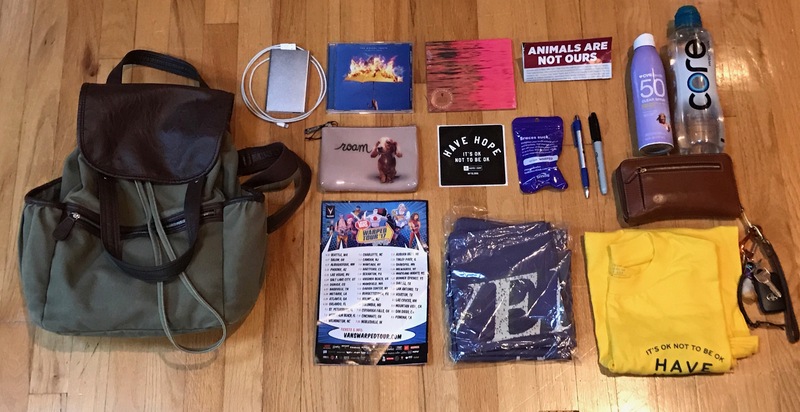 This entry was posted in concert review, Concerts, Music Related Event, Updates and tagged A Will Away, Anthony Del Grosso, Bowery Ballroom, Clouded, Dry Jacket, Grayscale, Kevin Jordan, Low Tides, New York City Concert, NYC, PVRIS, summer tour, The Dangerous Summer, The Early November, This Wild LIfe, This Wild Life headline tour. Bookmark the permalink. I went to this year’s Vans Warped Tour in Wantagh, NY on July 8. After seeing the lineup, I was excited to see Neck Deep, Too Close To Touch, Movements, I Prevail, Hawthorne Heights, Never Shout Never, Silverstein, Boston Manor, Microwave, The Gospel Youth, and American Authors. Upon arrival to the venue, I stood in line until I was checked in. Once I got inside, I bought a schedule of set times and headed over to the inflatable wall to look over the schedule with friends. Whenever I had free time, I’d drink a ton of water, walk around the area, and check out set times and band merchandise. I had time to sit in the shade and relax. The bands I met were: Movements, Too Close To Touch, and The Gospel Youth. I also talked with Dani from Neck Deep, Curtis from The Gospel Youth, and Spencer from Movements. Here are the photos of me with The Gospel Youth and Too Close To Touch. I have more photos up on Instagram. 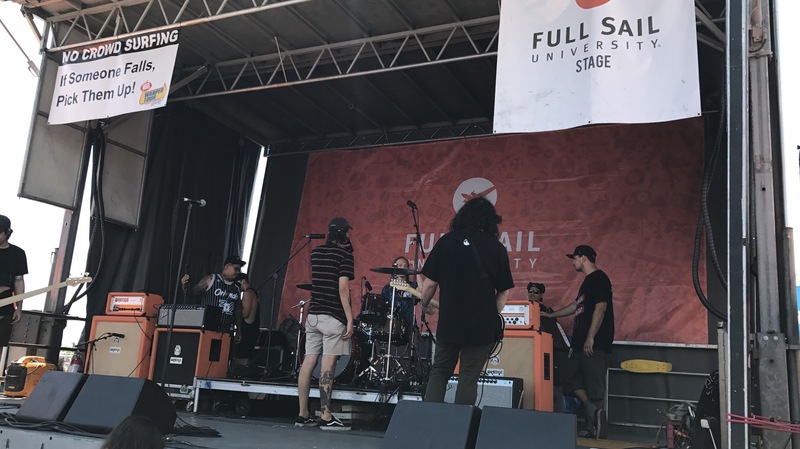 Overall, I had a great experience at this year’s Vans Warped Tour. The original forecast showed thunder and rain, and it turned out to be sunny and in the 80s. I got a good tan, saw new bands I haven’t seen before, and some CDs and a teeshirt. A note for anyone who is going to Warped Tour, always look up the set times for the bands you want to see and schedule your day around the sets and the meet and greets. Also, if you’re going to be close to a stage, be sure to watch your head for crowd surfers. If you have yet to go to this year’s Vans Warped Tour, I highly recommend it. Click here if you want to read about my tips and tricks when going to Vans Warped Tour. Curious as to what I packed with me for Warped Tour? Check out next week’s blog post for some inspiration on what you should pack and some more tips. *Follow my future concert experiences, blog post updates, and more on my Twitter and Instagram @ovictoriamedia. 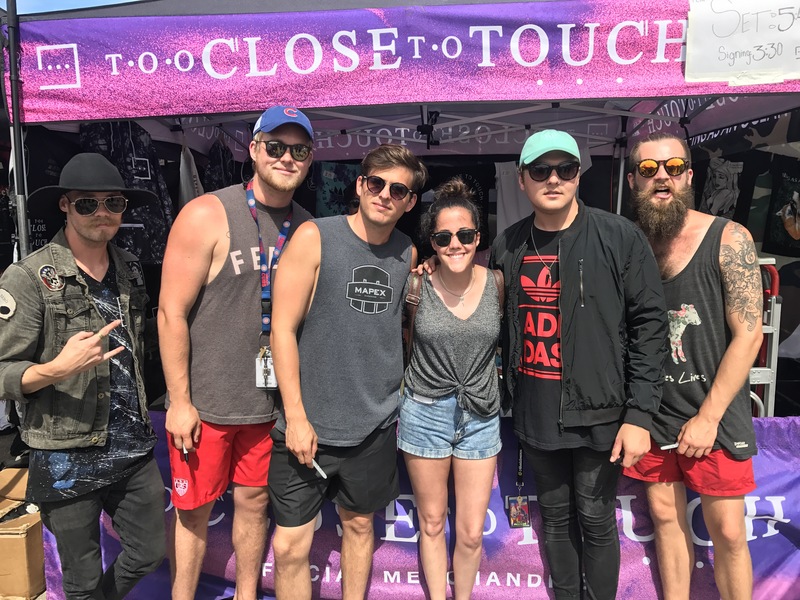 This entry was posted in concert review, Concerts, Music Related Event, Updates and tagged concert review, Long Island's Warped Tour, movements, neck deep, The Gospel Youth, Too Close To Touch, Vans Warped Tour. Bookmark the permalink.